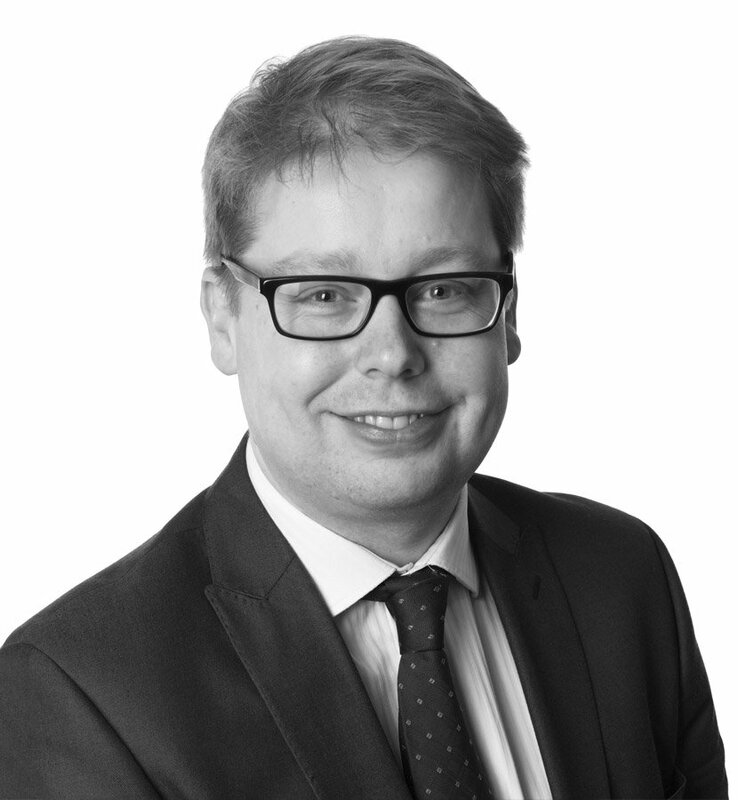 Matt is an extremely experienced dispute resolution solicitor specialising in complex commercial claims and property related disputes. Whilst these work areas dominate Matt’s practice he has also developed considerable expertise in resolving rural and agricultural disputes. Acting for a national drinks manufacturer in respect of a complex claim relating to the ownership of the business. Advising a major food manufacturer in connection with applying to the court for declaratory relief and an application under Section 125 of the Companies Act 2006 for rectification of the Companies’ Register. Advising a veterinary practice regarding professional negligence claims against their former and current accountants regarding their failure to identify a substantial fraud committed by a former employee. Acting for a national planning consultancy business regarding a substantial contractual claim to recover unpaid professional fees. Acting for a number of commercial water resellers regarding contractual disputes with both end users and national water companies. Acting for various clients in respect of very high value contractual disputes with major UK airports. Acting for a multi academy educational trust in connection with a high value contractual dispute with a company providing external project management and infrastructure services. Acting for a company in respect of allegedly defamatory comments published online out of the jurisdiction. Acting for an individual on the enforcement of a Judgment in the United States of America. Acting for the Defendants in High Court proceedings brought by the professional trustees of a high value will trust relating to the alleged mismanagement and overcharging by the professional trustees. Acting for an international specialist oil and coolant supplier and manufacturer in a dispute with a foreign based supplier. Acting for an international manufacturer and supplier of luxury well being products in a contractual dispute with a former customer. Advising a significant agricultural organisation on director’s duties and statutory obligations. Acting for a national window / door manufacturer and installer in high value contractual claims. Acting for a large Scottish supplier of mushrooms in a contractual dispute relating to the supply of defective compost and associated losses. Acting against a Spanish company in a high value contractual claim. Acting for Defendants in complex litigation against their neighbours regarding claimed water rights over their land. Advising a substantial property holding company in respect of adverse possession issues and Bona Vacantia property. Advising the owners of a residential property on the enforceability of a complicated restrictive covenant over neighbouring land on which a development was planned. Acting for the tenant of commercial premises in a factually complex and high value dispute with the landlord of the premises regarding its occupation and the consumption of utilities at the premises. Advising a local authority in connection with one of its tenants and its options to determine the lease to allow the council to re-develop the land. Acting for a property development company in respect of the early termination of an option agreement. Acting for a large institutional landlord to bring urgent proceedings against trespassers to ensure their eviction. Acting for a landlord in a high value lease dilapidations claim. Acting for a commercial lender in proceedings to realise its security held over commercial premises. Advising a membership organisation in connection with a substantial and highly complex dispute with its foreign institutional landlords concerning the service charge payable for its premises. This dispute has involved multiple sets of court proceedings and an expert determination. Representing a food manufacturer in a high value contractual dispute with the Administrators of its now insolvent former main building contractor. Acting for a substantial institutional landlord in contested commercial lease renewal proceedings against one of their tenants. Acting for a number of landed estates in connection with various defended residential possession proceedings. Acting for the abortive purchaser in a claim for none payment of the deposit in respect of a very high value residential property. Acting for a substantial agricultural property owner in connection with a dispute with the owner of a neighbouring farm regarding a right of way. Acting for the partner in a substantial North Yorkshire farming business in respect of a dispute with his partner. Advising a farming business in recovering a tied cottage from a former farm employee. Acting for the owners of a substantial working arable farm in a long running and complex dispute with a neighbouring farm relating to trespass and rights of way. Acting for a stud and livery business in a claim against the owner of a neighbouring property for damages and injunctive relief following interference with an express right of way to their business premises. Acting for the Official Solicitor in a claim to annul a bankruptcy Order made against a mentally incapable individual. Acting for a Trustee in Bankruptcy in an application for an order for sale of a property. Acting for a pension fund in an application to the High Court for an Administration Order in respect of a member of the scheme which owed millions of pounds to the fund. Acting for a Trustee in Bankruptcy advising on the recovery of a property transferred by a bankrupt at an undervalue. Acting for an insolvency practitioner in respect of a retention of title issue. Acting for a petitioning creditors in winding up proceeding. Why did you choose dispute resolution as an area of law to specialise in? I like dispute resolution because virtually every case I deal with is different and I enjoy the challenge that comes with that. This can mean that I often have to become an overnight expert on a subject. It might be mushroom compost one day and pension fund rules the next. It makes the job interesting. What is the most frequent problem you deal with for property clients? Property disputes can be very varied. Issues relating to commercial leases frequently crop up, particularly in respect of renewal or dilapidation claims. Rights of way and boundaries can also cause significant problems. In addition to my client facing role, I also play an active part in the firm’s practice development activities and as part of that I contribute to the firm’s social media content. I have also been involved in the setting up and running of Future Harrogate, a networking group for up and coming professionals in the area. Do you believe in mediation as an effective means of resolve disputes? Mediation can be very valuable weapon in the Dispute Resolution lawyer’s armory. I have seen some very good results achieved during a mediation but, from my experience, it only tends to work once all parties are serious about resolving a dispute. I often find that it is only the threat of litigation which makes an uncooperative party come to the table. I get a lot of satisfaction out of helping clients resolve what sometimes seem like insurmountable problems. It is fantastic when you build a good relationship with a client as working in a genuine partnership on a case always leads to a better outcome. What is the most exciting case you have dealt with? Many cases have their exciting moments, but my most memorable would be attending the property of a bankrupt to have him arrested by the court’s bailiff because he had not cooperated with his trustee. He spent a short time serving at her majesty’s pleasure until he decided to cooperate. My wife and I have a young family which seem to take up most of my time at the moment. I am also very interested in politics and I am a member of Harrogate Borough Council, representing Pannal Ward. I enjoy food and wine and walking my dog. I also enjoy travelling and visiting new places in the little free time I have left!